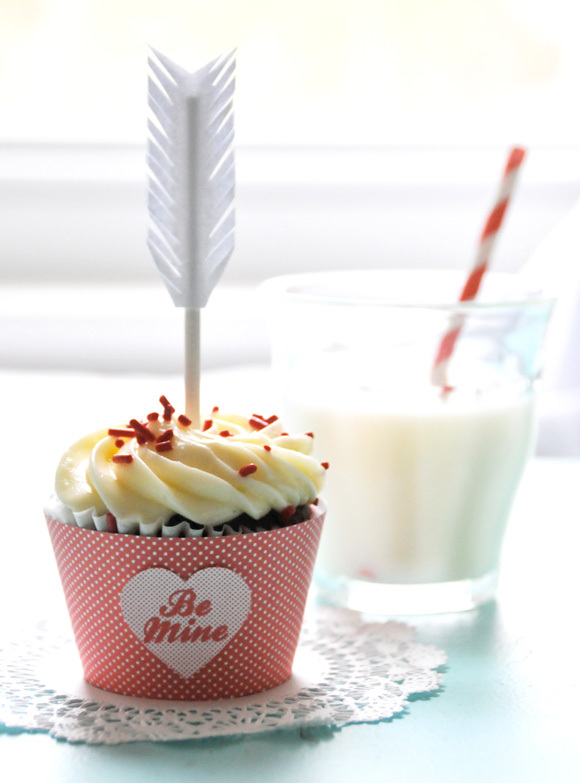 Juneberry Lane: An Oh-So-Cute Cupid's Arrow Cupcake . . . 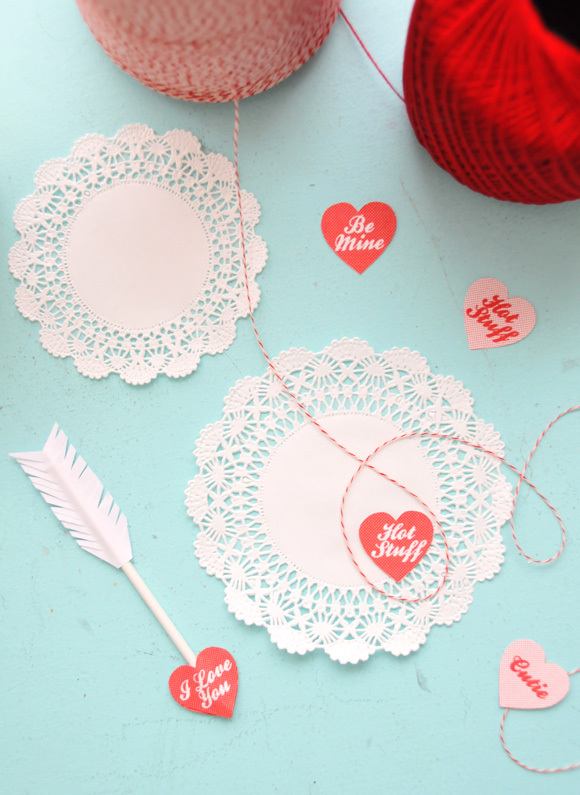 I am starting to get really revved up for Valentine's day and am really excited to bring you all sorts of little DIY projects that are simple and sure to be a hit for anyone that you love in your life. Nothing says 'I'm Yours!' like sweets for your sweeties and I have just the right treat, brought to us by the Creature Comforts Blog and sure to bring a smile to all of your favorite faces. 1.) 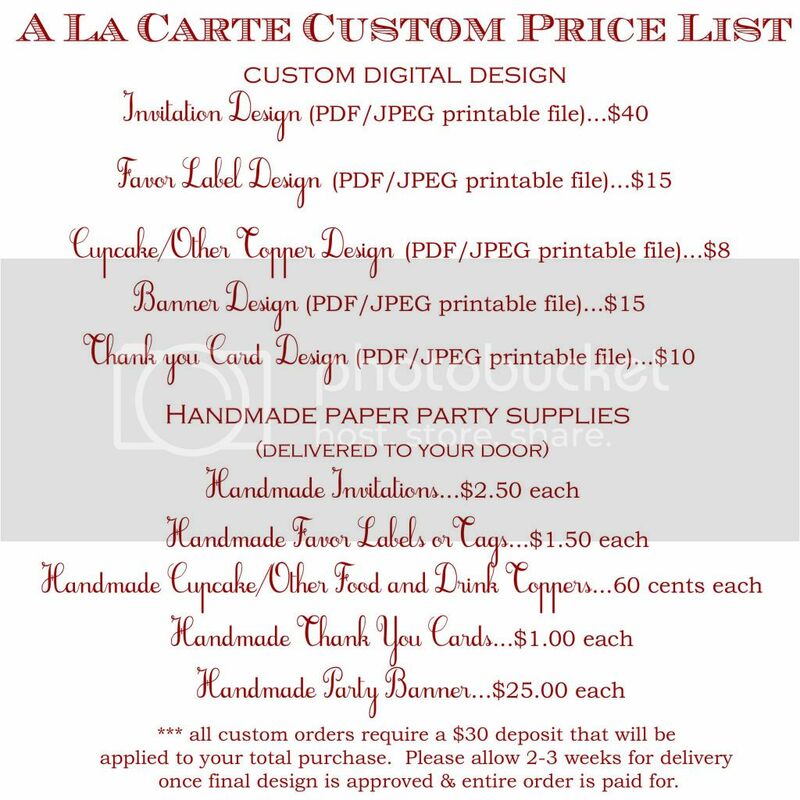 Print up the free PDF download onto the card stock on your color printer. 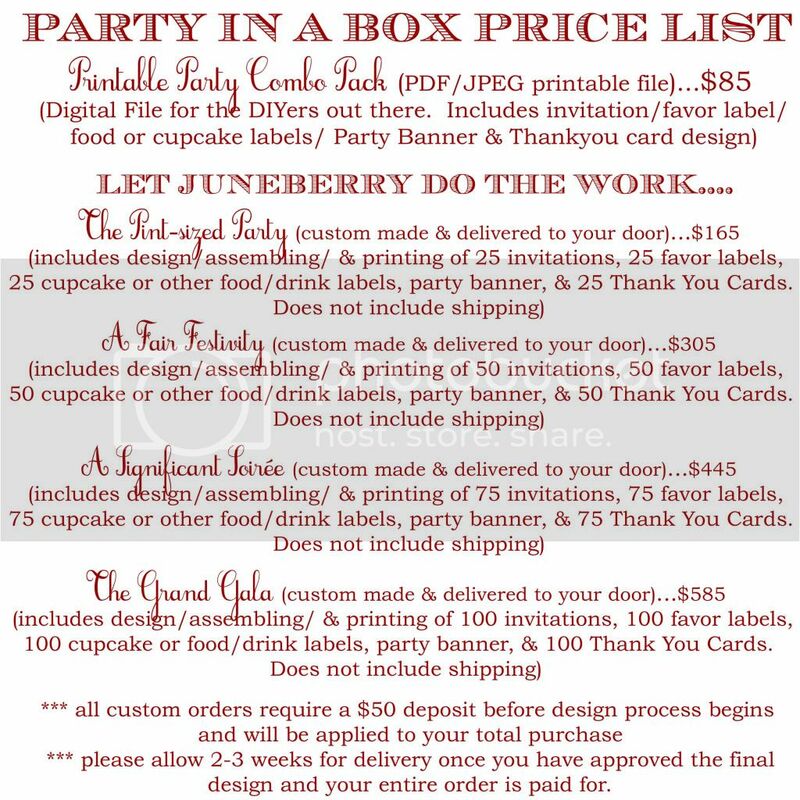 Print as many as you need! 3.) Gently arch each wrap around the cupcakes and secure with a dab of glue or double-sided tape where it is noted on the printable. 5.) 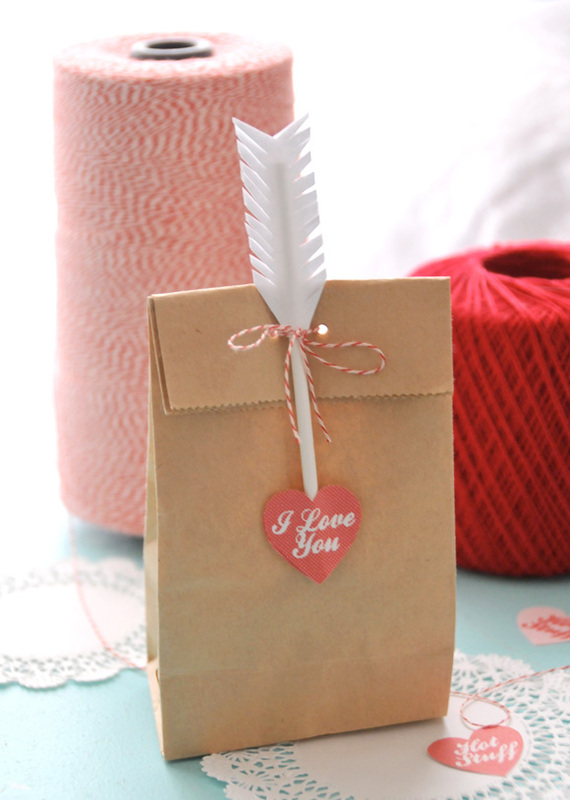 Secure hearts to the front of your cupcake wraps using double-sided tape or a dollop of glue. 1.) Cut out the arrow template from the free printable PDF file. Place the arrow top template on standard white printer paper and cut out two per cupcake topper. 2.) Adhere a piece of double-sided tape or glue (cover as much of the paper as you can) to each inside of the arrow topper and place your candy stick onto the center of one side. 3.) 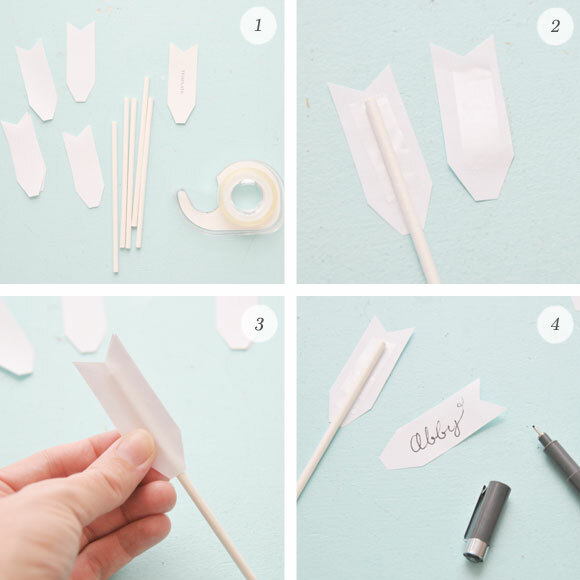 Place the second piece of arrow topper paper on top and use your fingers to pinch both sides together-adhering them to the stick. 4.) 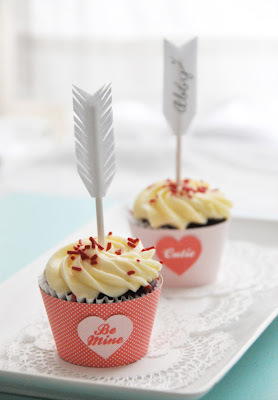 Write a name onto the arrow cupcake topper, if you prefer. Using a pair of scissors, snip cuts at an angle all the way up both sides until it resembles a feather. Poke the candy sticks into your cupcakes and you are all set!! And if you really feel like going the extra mile, you can make these gorgeous treat bags to put your cupcakes in too . . . 1.) 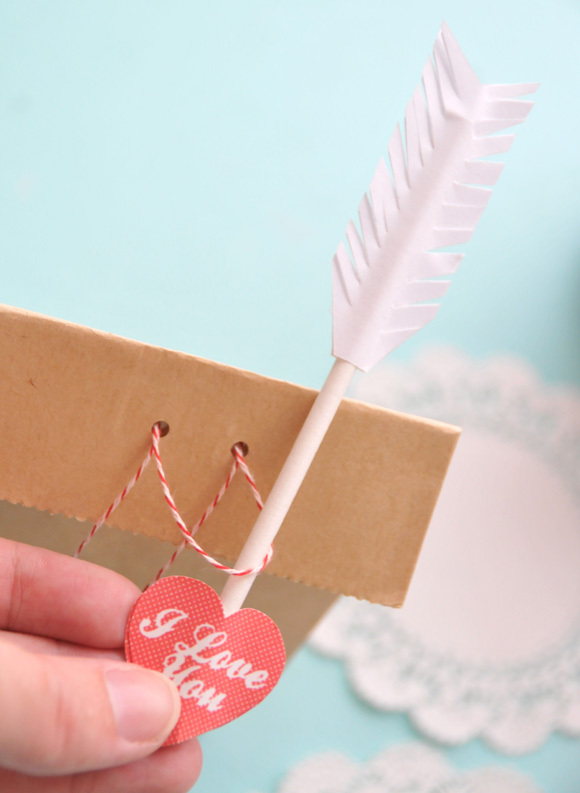 After creating the feathered portion of each topper, attach chosen hearts (found on the free printable) to the bottom of the lollipop stick using double-sided tape (you will use two, one on either side of the stick). 2.) Choose from either blank or pre-written text versions (the blank ones work perfectly for writing guest's names). 3.) 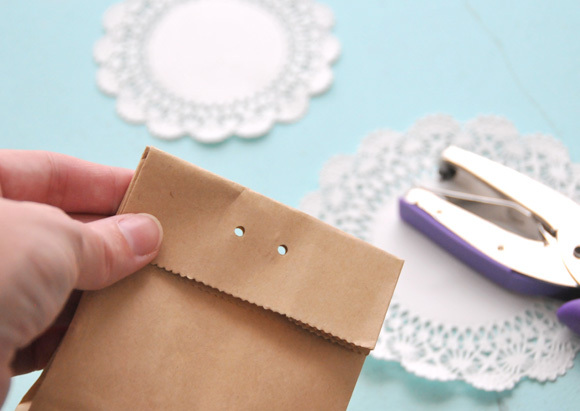 Fold the top of your treat bag down and punch holes as shown above using a hole punch. I used a 1/8" punch for a smaller hole. 4.) Thread twine or yarn through the holes (if you want a bow in the back, thread through as shown - if you prefer it in the front, thread from the opposite side). Next, insert twine ends (one at a time) through the opposite holes than you initially threaded them through. 5.) Place one Cupid's Arrow inside the loose loop. Pull twine taught and tie a bow to secure. Aren't those just the cutest little things ever? Now if only you could decide which cupcake flavor you were in the mood for! Decisions, decisions . . .